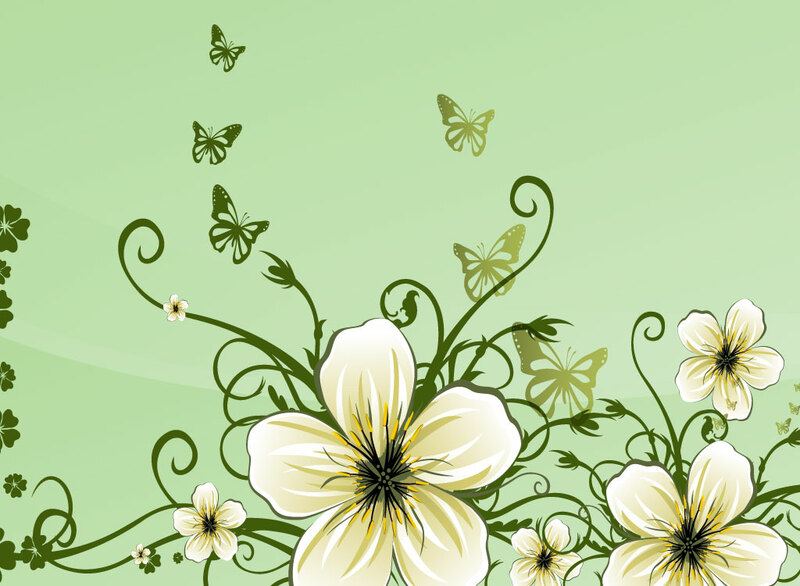 Decorative flower vector graphics with a nature and floral theme. Scattered clover, butterflies, scrolling vines and beautiful white tropical flowers come together emanating from the bottom of the image. Free download for your spring greeting cards, banners and artistic business cards. Tags: Butterfly, Card, Exotic, Invitation, Nature Vector, Scrolls, Tropical.